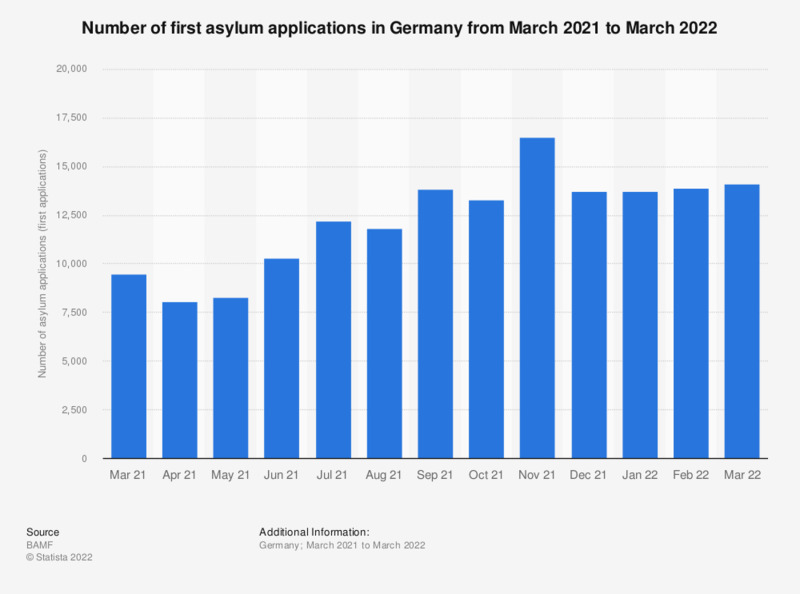 This statistic shows the number of first-time asylum applications in Germany from December 2017 to December 2018. In December 2018, the number of applications amounted to 8,900. BAMF = Bundesamt für Migration und Flüchtlinge, Federal Office for Migration and Refugees.